Will Tim Patrick be able to follow up his big-time reception last week with more catches tonight? Credit: Isaiah J. Downing, USA TODAY Sports. The 2018 season is looking to be a pivotal one for the future direction of the Broncos. Pair this with Denver’s struggles through the first two games of the preseason, and fans have cause for concern. However, Week 3 of the preseason is the most important preseason game and the Broncos could quickly wash away some of those concerns with a strong showing in our nation’s capitol. The Denver Broncos face the Washington Redskins tonight, with kickoff set for 5:30 p.m. MST; let’s examine five focal points for the Broncos tonight. 1. Who are the Broncos 5th and 6th receivers? Five months ago this question would’ve read “Who is the Broncos’ third receiver?” but the drafting of Courtland Sutton and DaeSean Hamilton have slid those questions further down the depth chart. The Broncos are no longer plagued by their lack of depth at the wide receiver position but around the roster bubble, questions still remain. Isaiah McKenzie, River Cracraft, and Tim Patrick are all vying for the final two spots. Right now McKenzie and Patrick are the favorites. 2. Is Chad Kelly the backup quarterback for the regular season? Most of the snaps in Friday’s game should go to Case Keenum, but Kelly will expect to see a good amount of playing time as well, as the Broncos search for their backup. Paxton Lynch is clearly not the answer. He may be entering his third season, yet Lynch looks more overwhelmed than any of the rookie quarterbacks. Now the Broncos must decide if Kelly is capable of filling in and winning regular season games, were Keenum to go down with injury, or flame out entirely. If not, the Broncos must trade for a veteran backup before the season starts. 3. Who will replace C.J. Anderson? Washington might’ve answered their own questions at running back after signing Adrian Peterson to be their bell-cow, but those questions still fester in the Mile High City. Devontae Booker is the current starter but Royce Freeman has looked considerably better this preseason. There’s also last year’s preseason standout De’Angelo Henderson Sr. to go along with this year’s standout Phillip Lindsay. Denver’s backfield is full of questions and potential, but very few answers. We may get a few more answers tonight. 4. Is the “No-Fly Zone” still in effect? Three years ago, the Broncos boasted one of the fiercest defenses the league has ever seen. Headlined by a secondary that owned two tough safeties and a cornerback group that went three deep, they earned the “No-Fly Zone” nickname. Three years later, the unit has been overhauled. Darian Stewart has moved from free safety to strong safety to accommodate his age, Aqib Talib was traded, and last season T.J. Ward wasn’t starter caliber which led to his release. 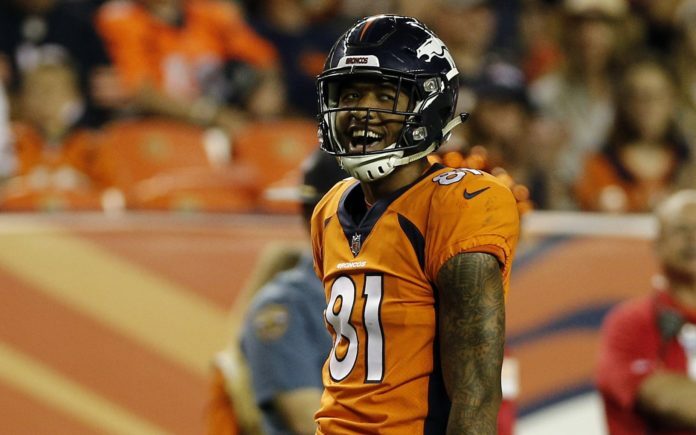 Can Bradley Roby replace Talib? Who is the third corner? Will Stewart, Su’a Cravens, or Will Parks be the strong safety moving forward? Without clear answers, the “No-Fly Zone” may be no more. 5. 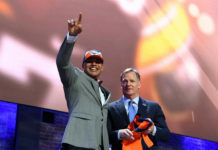 How strong is John Elway’s draft class? 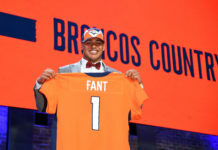 For the Broncos to bounce back from one of their more embarrassing seasons in recent memory, they’ll need an impact season from their rookie class. They’re relying on Sutton, and Hamilton to fix wide receiver problems that have pained the team since the loss of Wes Welker. They need third-rounder Isaac Yiadom to help fill the third corner position. They also need third-rounder Freeman to help fix the running game. That’s a lot of pressure for a franchise to put on four kids who can’t even rent a car. Will they stack up?